I spotted this loo for less and had to share. What do you think? Something you would wear? We had a rude awakening this weekend - literally. As Tate was on his way to crawl in our bed (something he does every night) he tripped and hit the bridge of his nose on the cheap metal bed frame that holds the box spring. It was the scariest thing I have ever experienced. Head wounds bleed so much and at first I couldn't tell what the source was. I put pressure on it immediately while Steve rushed around getting ready to the hospital - which is when my body decided it was too much and almost gave out on me. My hearing went and my muscle pressure followed. It was all I could do to stay conscious. Somehow we made it to the car & rushed to the small local emergency room. We were the only people waiting (our first good luck). They stitched him up quickly and we were on our way home an hour later. 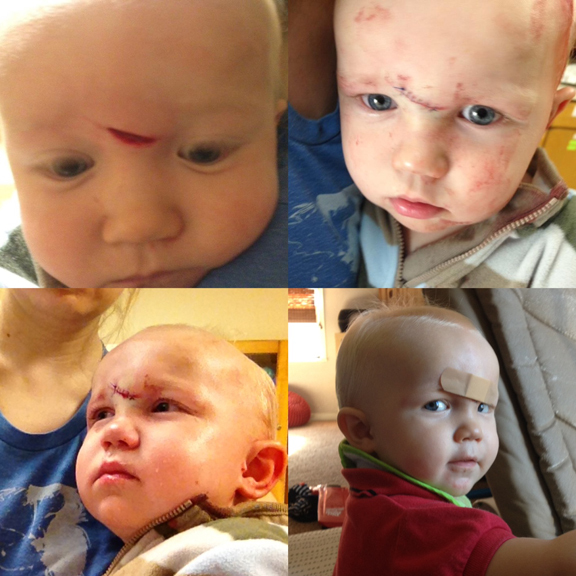 He is handling it like a champ, but I still get teary eyed thinking about that perfect face with a scar. I know it's cliche, but parenting really is like having your heart walking around in the world. This kid is the best thing to ever happen to us, and I am just so relieved it wasn't something worse. We'll be taking this week slow, but don't forget that today is a great day to find good deals in the retail world. 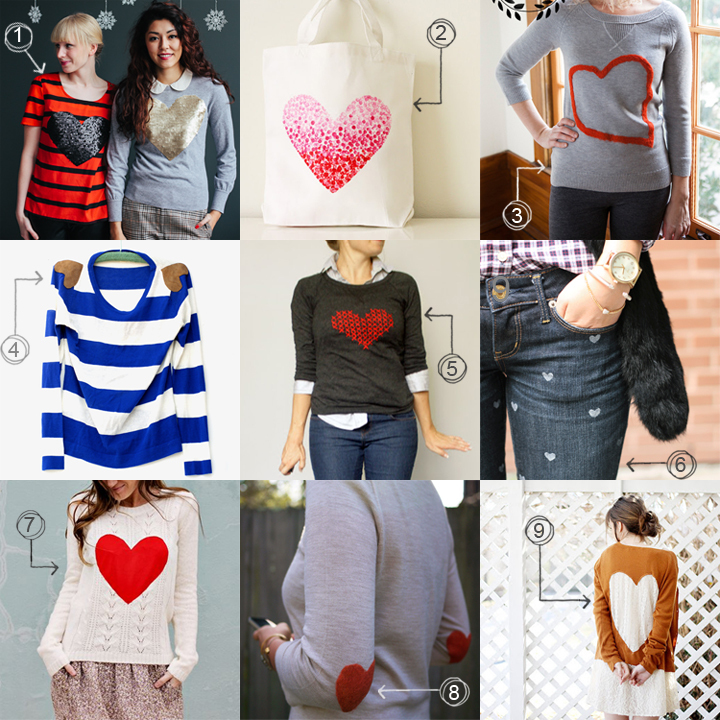 I have rounded up 9 of my very favorite easy heart themed DIY project tutorials. 2 - Painted Heart Bag via V and Co.
Have you attempted any of these? I am totally fascinated by the felted projects (3 & 8). I'm a huge fan of Asos dresses. 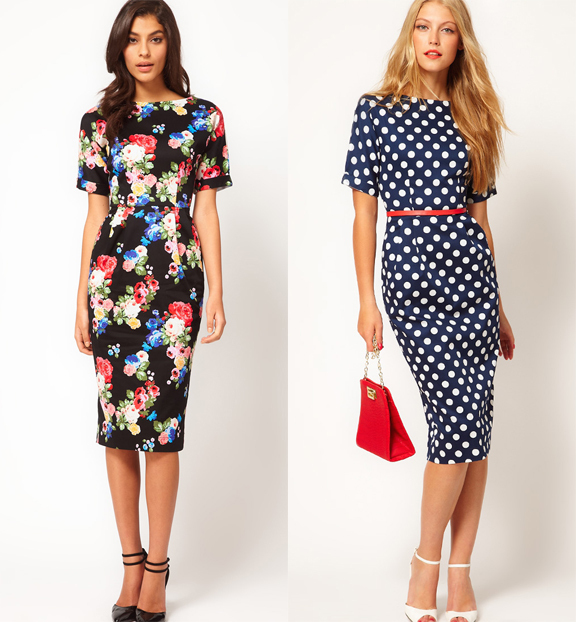 I am especially fond of the wiggle style dress. The vintage inspired cut reminds me of something Jackie Kennedy would wear. I was so excited to see that two of my favorite prints are on sale right now. ASOS has quite a few modest dresses under $50 right now. As always, I am super impressed with ASOS's selection. Don't forget they offer free shipping on everything. January is a mighty strange time for fashion inspiration. After the holidays are over, all the retail companies gear up for spring. But seeing as there will be snow on the ground for several months more, it gets tricky. Even in my sub tropical climate, January & February are the chilliest months and are better suited to boots and sweaters than sandals and shorts. 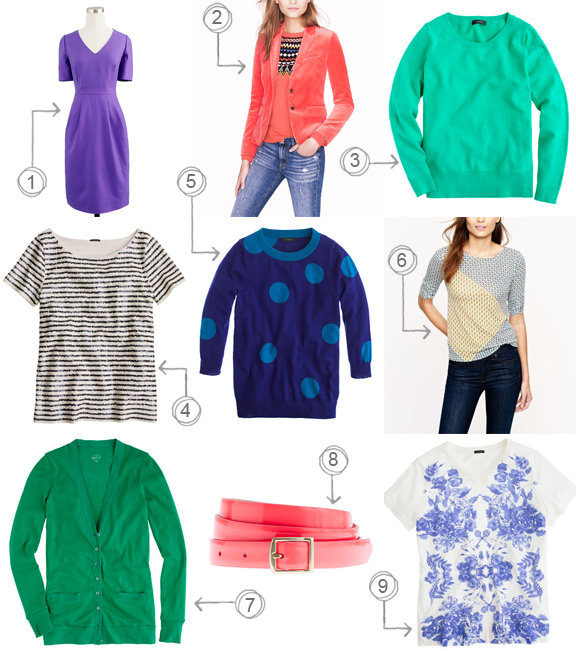 This, in no way, changes my excitement for bright hues & spring styles. 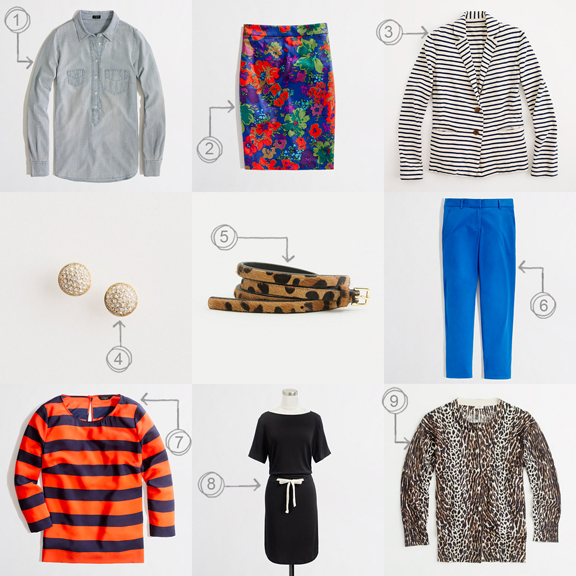 Here are the latest inspiration looks over at J.Crew. That polka dot blouse? Forget about it! 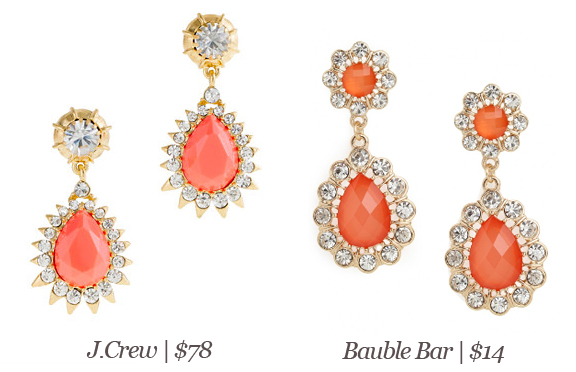 J.Crew is having a killer sale right now. Some of my very favorite things are on sale. I mean, look at the sequin tee! 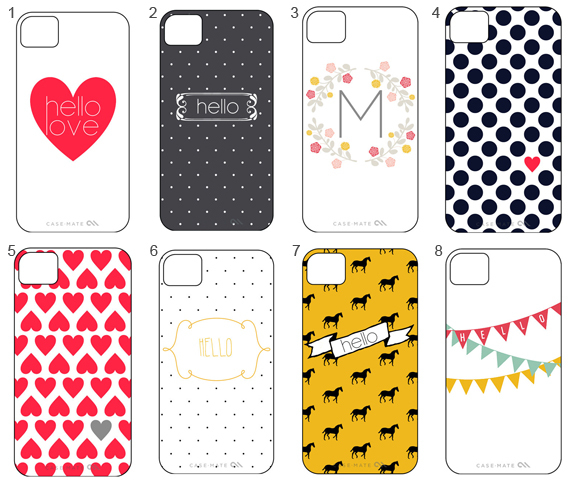 So many pretty things, so many good prices. Make sure to use coupon code STYLEFIND to get the extra 30% off.